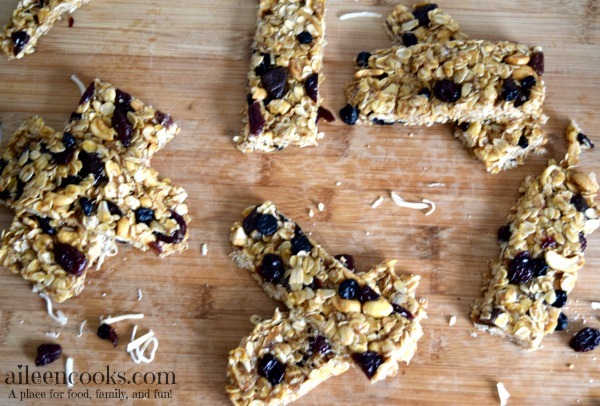 Homemade chew no-bake granola bars are much easier to make than you may think. They come together quickly and are much healthier than the store-bought version. 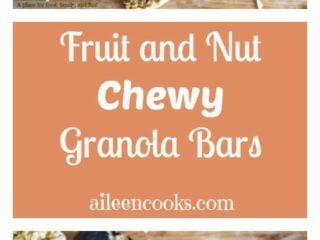 This chewy no-bake granola bars recipe is made with coconut oil and honey – making the flavor nice and sweet and flavorful. These are perfect for a quick snack or in a brown bag lunch. You may also like Instant Pot Granola Bars. 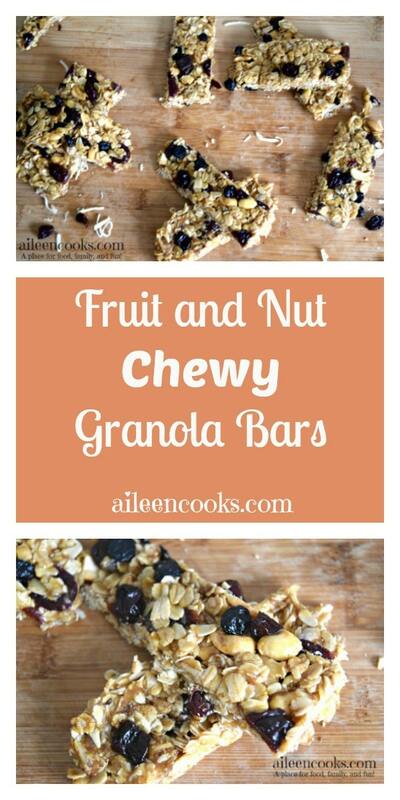 Homemade chewy no-bake granola bars filled with healthy fruit and nuts. In a small sauce pan, melt the coconut oil and honey over medium high heat. Continue to heat and stir until the mixture begins to bubble and darken. Allow the honey and coconut oil to bubble and cook until it turns and amber color. Stir in the vanilla extract and remove from heat. In a large bowl, combine the rolled oats, cashew pieces, dried fruit, flaxseed meal, and shredded coconut. Fold in the honey mixture until everything is wet. Pour the granola into a 9x9 pan lined with parchment paper (with plenty of overhang). Press the granola into the pan firmly with the bottom of a glass. 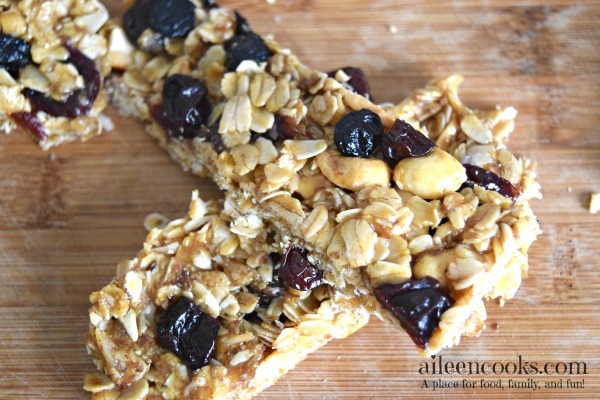 Remove the granola bars from the pan by firmly lifting the parchment from the pan and turning the bars out onto a cutting board. Slice into bars using a sharp knife. These look great! Definitely some good, nutritious ingredients in there as opposed to all the sugary ingredients of the store-bought versions. Yum! I love that these can be made at home – going to try these and add to the kids’ lunches! This granola recipe looks easy and yummy! I’ll have to try it for when I have my sweet grandbabies. 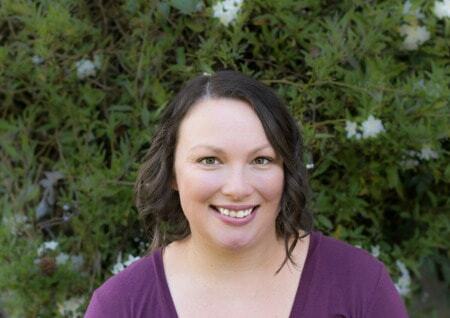 Thank you Marcia! I’m sure they will love that.